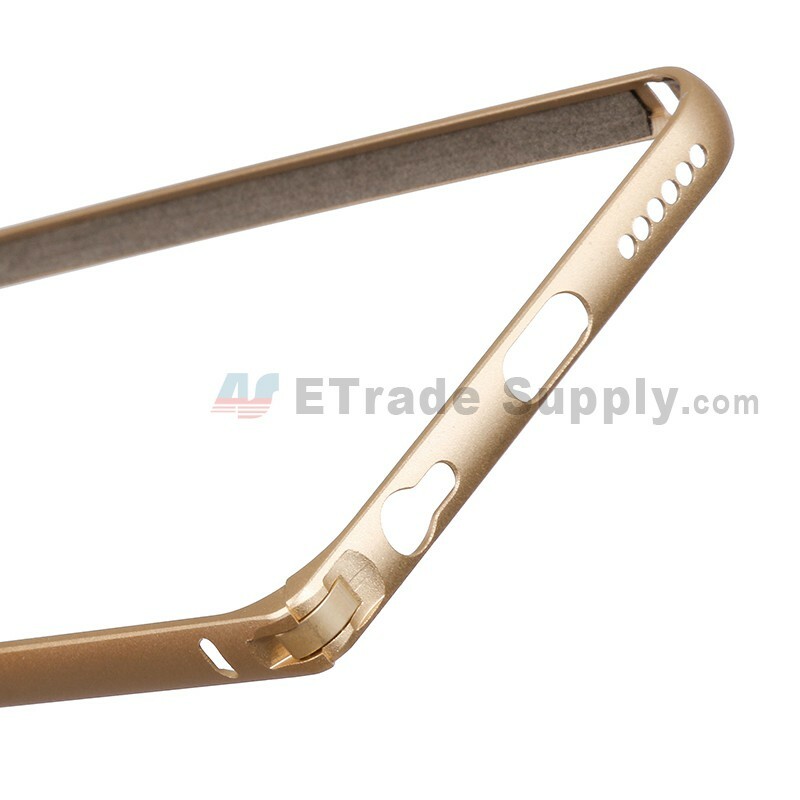 This is a brand new iPhone 6 Protective Frame, the exquisite craftsmanship of this frame makes it look elegant and distinguished. This Apple iPhone 6 Aluminum Bumper Frame contains protection for both the power and volume buttons, which allows for easy access and protection to your iPhone’s side keys without a case. 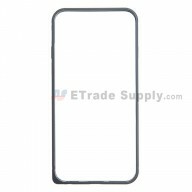 This iPhone 6 Bumper Case features four antenna holes, to prevent any hampering of a strong and stable signal even while the device is covered. 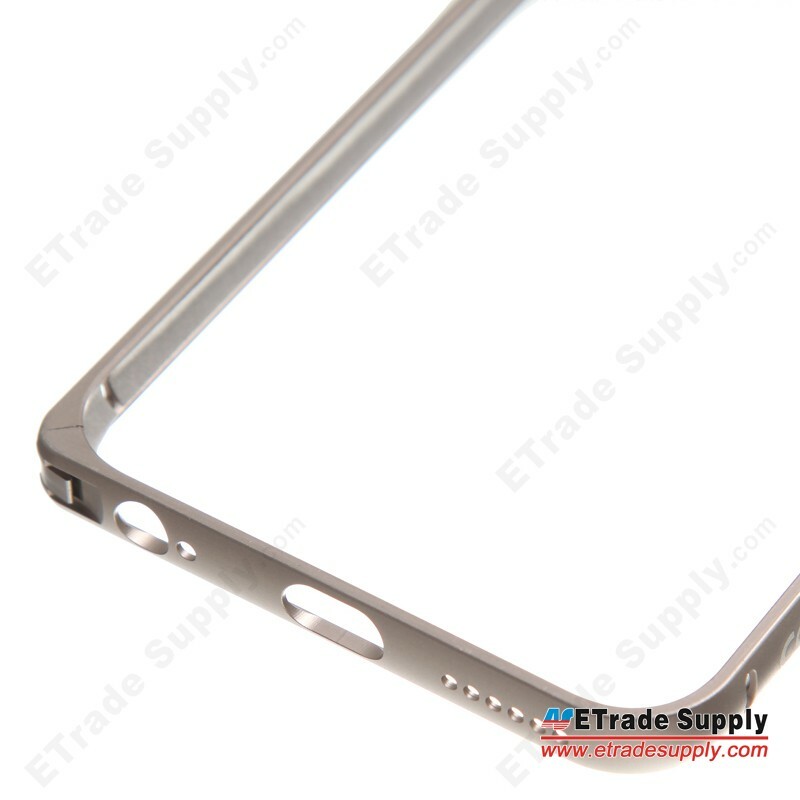 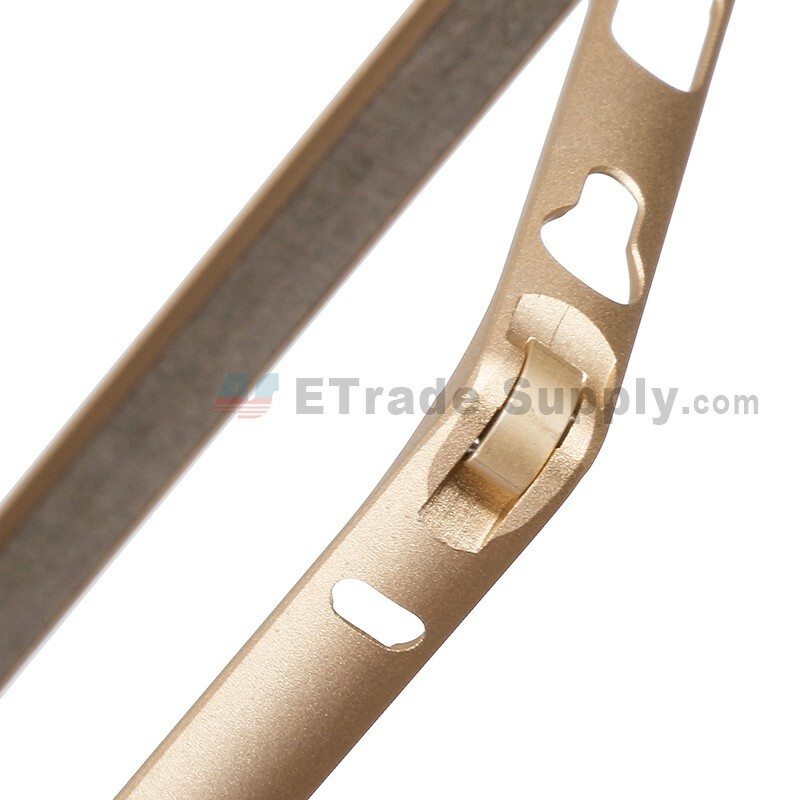 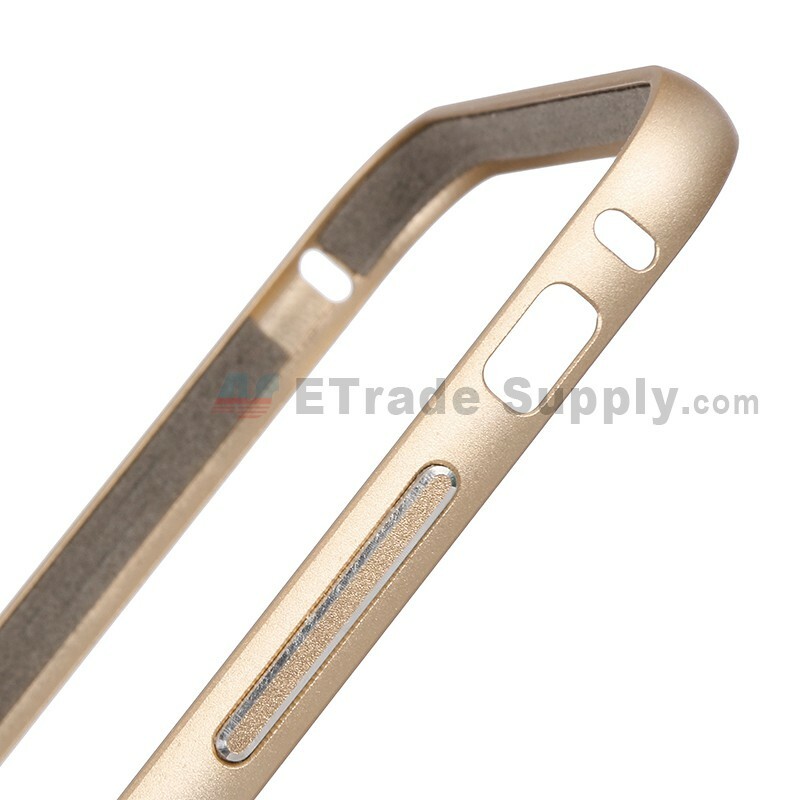 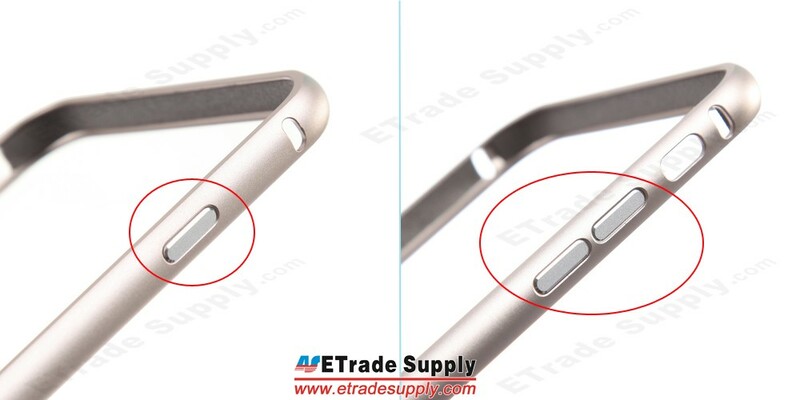 This iPhone 6 Protective Frame is made of aluminum, which keeps the frame light and durable. 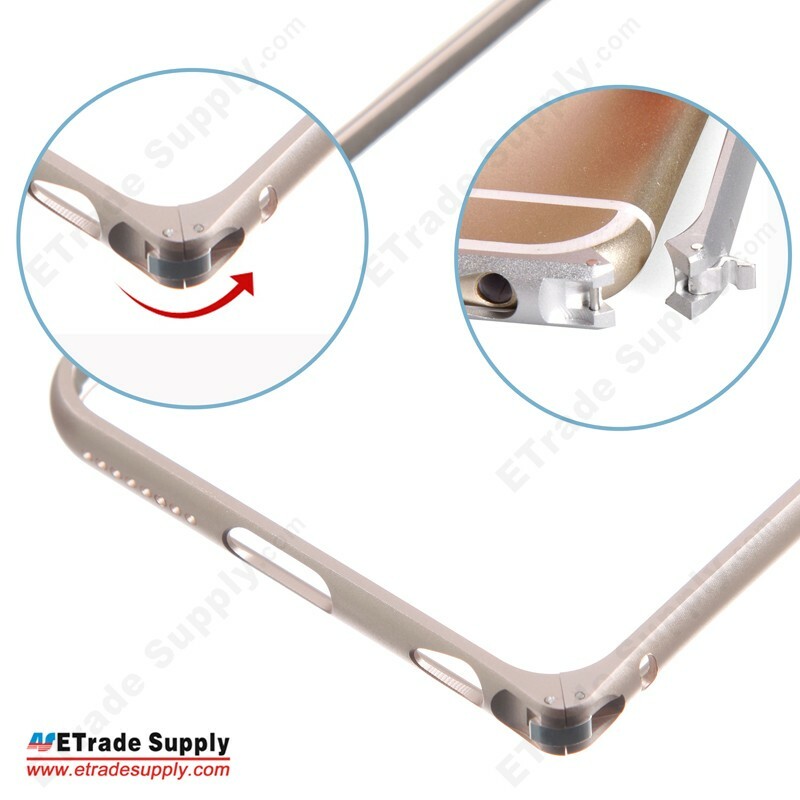 Built with a solid latch, the frame is easy to open and lock, and protects your iPhone 6 from scratches and sudden drops. 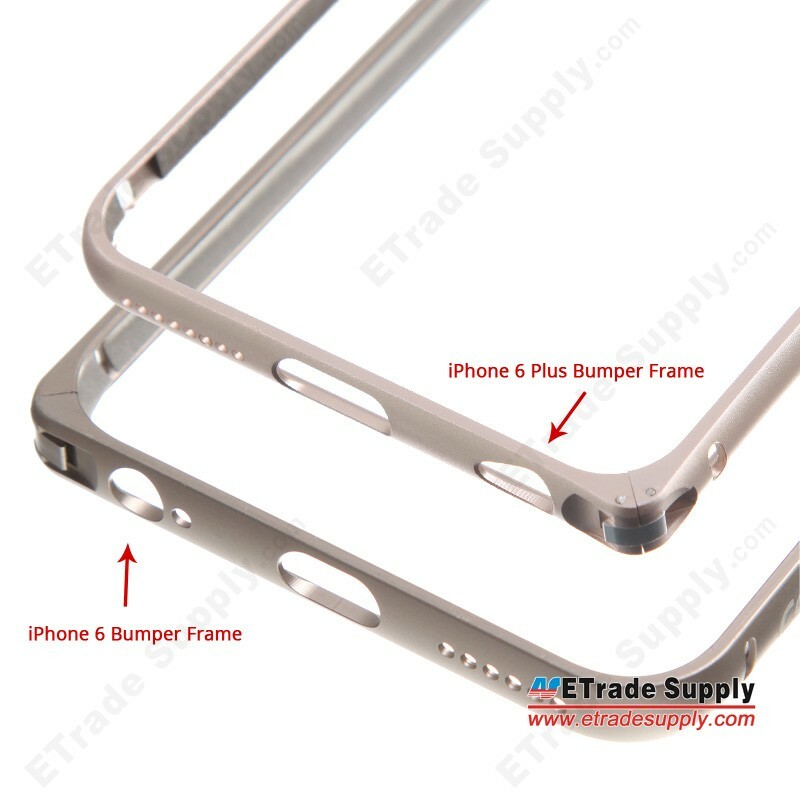 This metal bumper frame is only for the iPhone 6, please do not confuse it with the iPhone 6 Plus AluminumProtective Frame. 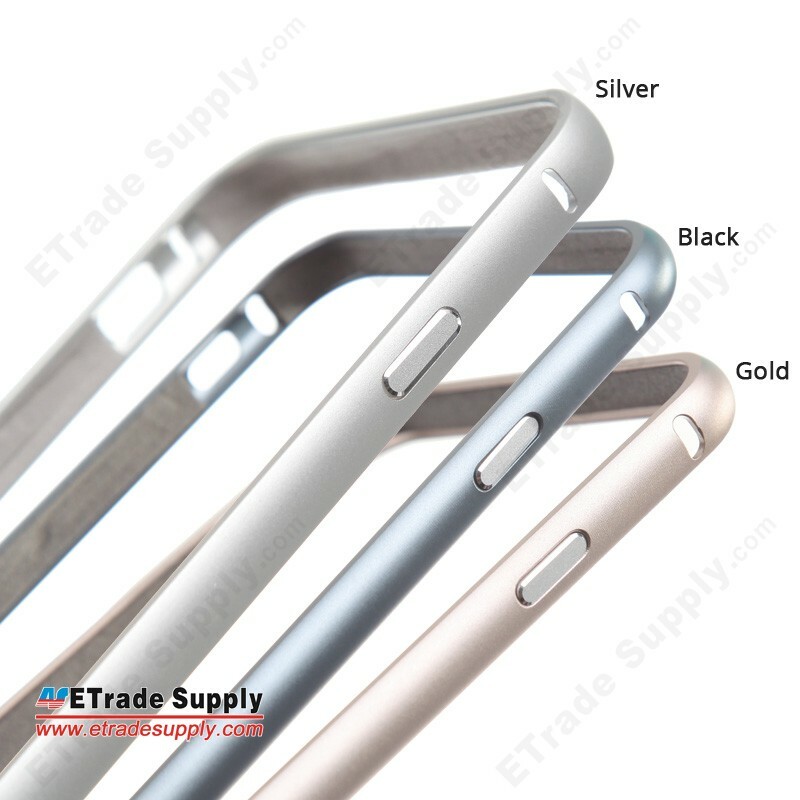 The iPhone 6 Aluminum Protective Frame is available in black, silver and gold, matching the colors of the iPhone 6. 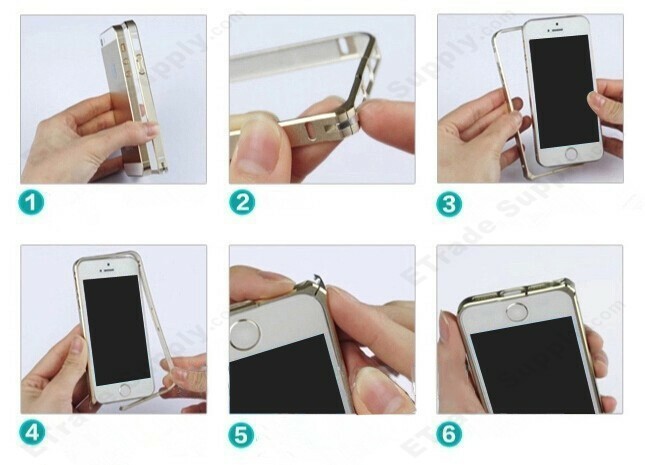 So your iPhone 6 will keep that elegant look and be well protected at the same time. 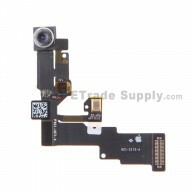 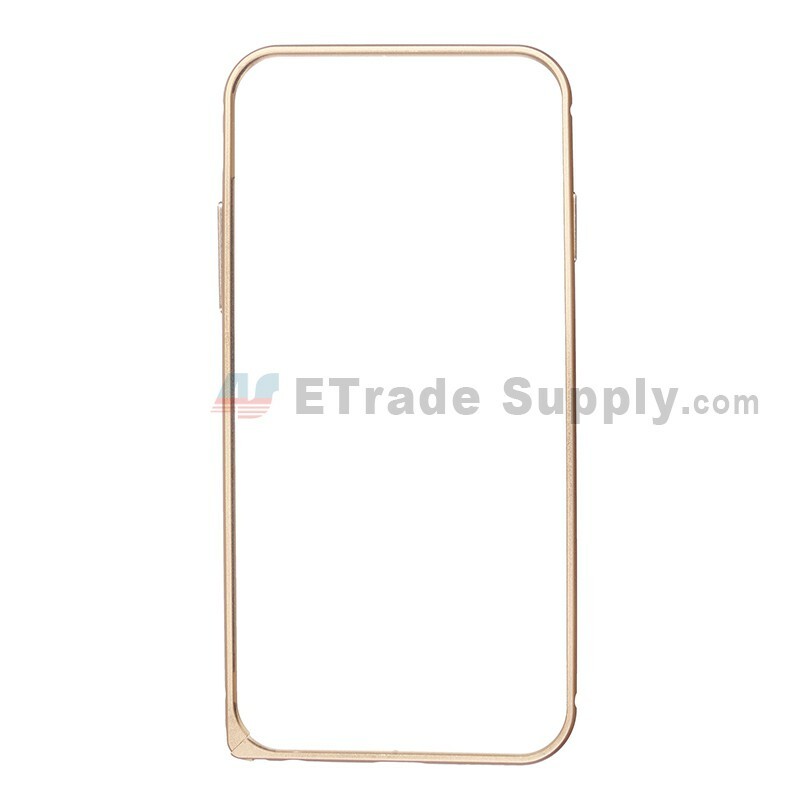 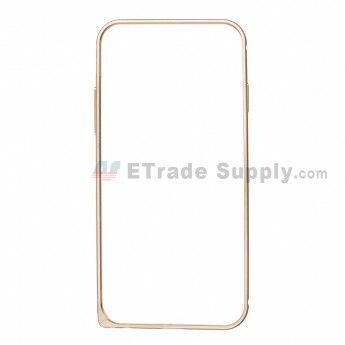 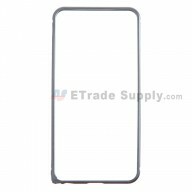 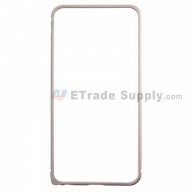 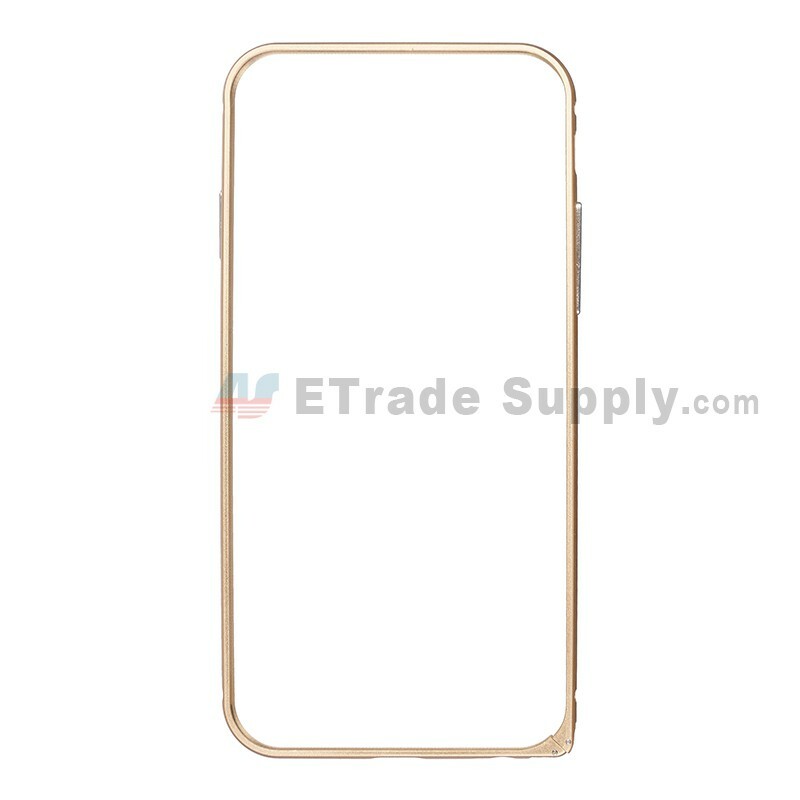 This iPhone 6 Aluminum Bumper Frame is easy to install and remove, you may refer below for an installation guide, and an installation guide will be shipped with the frame. 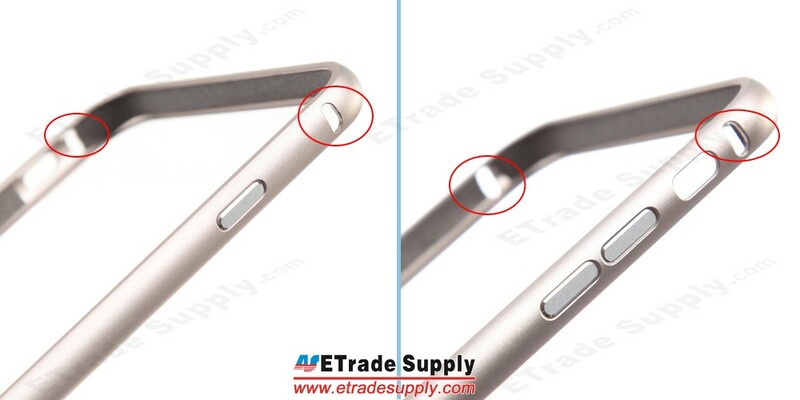 Please note that ETS is not responsible for any damage caused during installation.